Prime Minister Benjamin Netanyahu says it's fitting since Guatemala also followed the US to be the second country to recognize Israel 70 years ago. Jerusalem: Guatemala has opened its new embassy in Jerusalem, becoming the second country to do so after the United States. 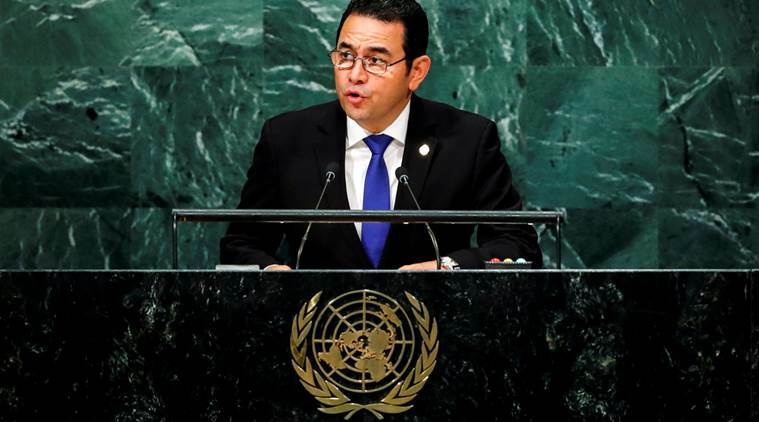 Guatemalan President Jimmy Morales dedicated the embassy Wednesday just two days after a high-powered American delegation also marked the transfer of its embassy in Israel from Tel Aviv to Jerusalem. Prime Minister Benjamin Netanyahu says it’s fitting since Guatemala also followed the US to be the second country to recognize Israel 70 years ago. “You were always among the first,” he said. “We remember our friends and Guatemala is our friend, then and now.” President Trump announced his decision on Jerusalem in December, triggering a joyous reaction from Netanyahu’s government. The move infuriated the Palestinians, who claim Israeli-annexed east Jerusalem as their capital. Paraguay says it will also relocate its embassy.